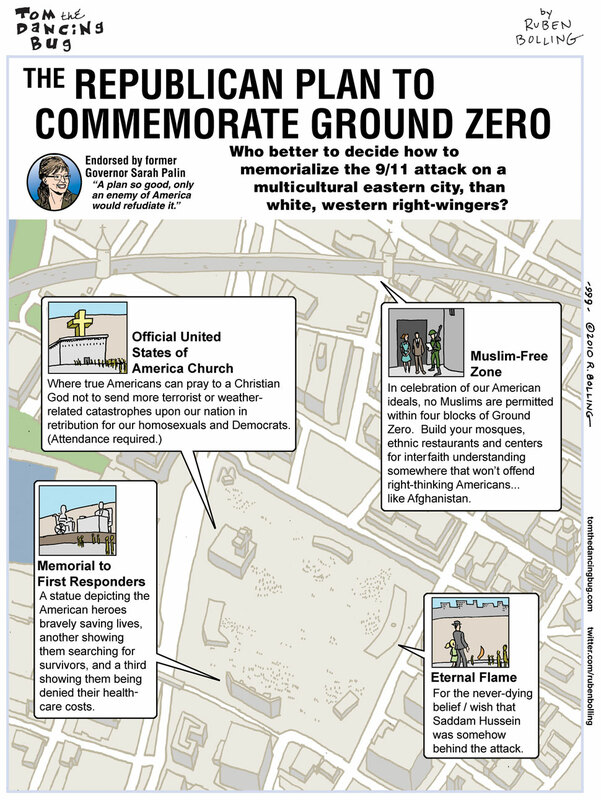 Ah yes, the Ground Zero Mosque critics make themselves an easier target every day. I cringe slightly at the acceptance of tribalism when used for “our” side. Sarah Palin is about the easiest person to dismiss on the basis of her stupid ideas and abysmal reasoning. Why should her race and geography enter into it? Through her regular invocations of where the “real America” is, and the people she points out as “real Americans”, Sarah Palin is a voice for white, mid-Western Americans. Nobody is putting this appellation on her, she willingly dons it herself. I would say that for this reason, her race and geography are relevant, and her stance in such a hypothetical case would be hypocritical. In hypocrisy, humour.